When it comes to brick repair, spalling is an issue that can be noticeable and easily identified. Spalling occurs when the face of a brick fractures and erodes away. It is easily recognizable because the face of the brick will be either partially or completely missing and recessing back. Often, spalling can cause brick to erode completely, leaving only a hole where a brick used to be. NOTE: Spalling, however, should not be confused with normal chipping on the face of a brick. Bricks are brittle, and during shipping and installation, they can develop chips on the surface. Some bricks are even tumbled to intentionally rough up the surface. 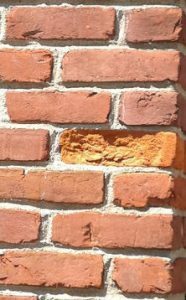 Although spalling can occur on any brick, it is most commonly observed on either Adobe or Dry Press Common style bricks and is caused by one of two things: 1) molds growing in the pores and 2) water saturation combined with freezing. In the first causation for spalling brick, mold is mentioned. 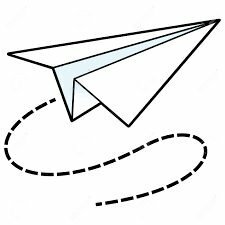 A person must remember that mold is a plant, and plants eat dirt. Afterall, brick and mortar were both dirt at one point. Therefore, the mold eats away at the mortar similar to the way a cavity eats away at a tooth. However, it doesn’t eat the sand granules since the sand is a silicate and has no nutritional value to the plant. Instead, it eats the mortar particles from in between the sand. Consequently, it makes the mortar more sandy over time, exponentially increasing the mortar’s ability to absorb water. Eventually, the mold will begin to eat the brick as well, especially softer bricks such as Adobe or Dry Press Commons. The second causation for spalling brick is water saturation combined with freezing. Over time, mortar joints will wick water more quickly until eventually, the saturated mortar joint coincides with freezing weather. The moisture within the mortar freezes and expands. This expansion of the moisture in the mortar applies pressure to the brick which causes the face of the brick to fracture and peel off. Either situation can be traced back to substandard mortar. Any time the ingredients used to mix mortar get out of balance, the mortar becomes something other than TYPE N Masonry, commonly known as brick mortar. TYPE N Masonry is a waterproof material intended to be used to bond bricks together. It has a crushing pressure of approximately 750 pounds per cubic inch. Each brick has approximately 4 cubic inches of mortar beneath it—a total crushing pressure of 3,000 pounds, each brick weighing about 6 pounds. When the ingredients are measured out in the appropriate balance, the mortar has a density that will repel the water. The basic ingredients of mortar include Portland, lime, sand, and water. The sand is what gets bonded together. The Portland acts as a hardener, the lime is a softener, and the water fuels the curing process. As the hydrogen and oxygen molecules interact with the Portland and lime particles, a reaction occurs. This reaction causes the mortar particles to heat up, swell, and harden, filling the air space between the sand granules, thus creating a density great enough to repel water. The mortar cures up to 98 percent in 28 days, and the remaining 2 percent cures indefinitely. Sand is cheap and mortar mix is expensive, so it’s common for a contractor to stretch a batch of mortar to save money on the project. As previously stated, mortar must be balanced in order for it to repel water. With that being said, contractors often have the rationale that you don’t need a mortar with 3,000 pounds of crushing pressure to hold up a 6 pound brick. The contractor will often reduce the mortar to half so that they are using a mortar with 1,500 pounds of crushing pressure that is supporting a 6 pound brick, which they believe is sufficient for the job. While that logic may sound reasonable at a glance, that is an entirely false theory. Afterall, there are reasons that the ASTM building code requirements are what they are. If any person does not follow the building code requirements when mixing mortar, it can lead to issues. One problem that can occur is that there will be fewer mortar particles per sand particle ratio; therefore, some sand granules will not have mortar between them. Instead, an air space will remain between the sand granules. One open air space begins touching another and so on. As a result, porous mortar remains, and rather than acting as a dense barrier against water penetration, it now acts as a wick, drawing water in during a rain storm but also wicking in humidity year-round. Our Advantage Masonry team often hears a customer remark about their “cheap brick”. While it is possible to have a manufacturing failure in a particular batch of brick, it’s actually very uncommon due to stringent quality control efforts at the factory. Normally, it’s the mortar that is the problem, not the brick. The solution to these issues can range from simply removing and replacing spalling brick, along with grinding out and replacing specific mortar joints, to rebuilding an entire section of brick work. Each situation is different and must be considered on a case by case basis. NOTE: If you would like to schedule a free consultation with one of our qualified technicians, please click the link below.